In July and August 2011 we installed already 3 Fresh in Fresh out systems in the Winner’s supermarkets in Mauritius. 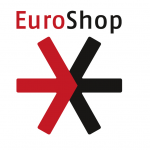 During the Euroshop in March 2011 we got in contact with the Winner’s Supermarket chain from Mauritius. Winner’s is the largest intergrated chain of supermarkets in Mauritius. 18 stores are strategically located in various parts of the island. Winner’s Supermarkets are the preferred supermarket of nearly 30% of the Mauritian households.